I have written about this before for version 9.7. 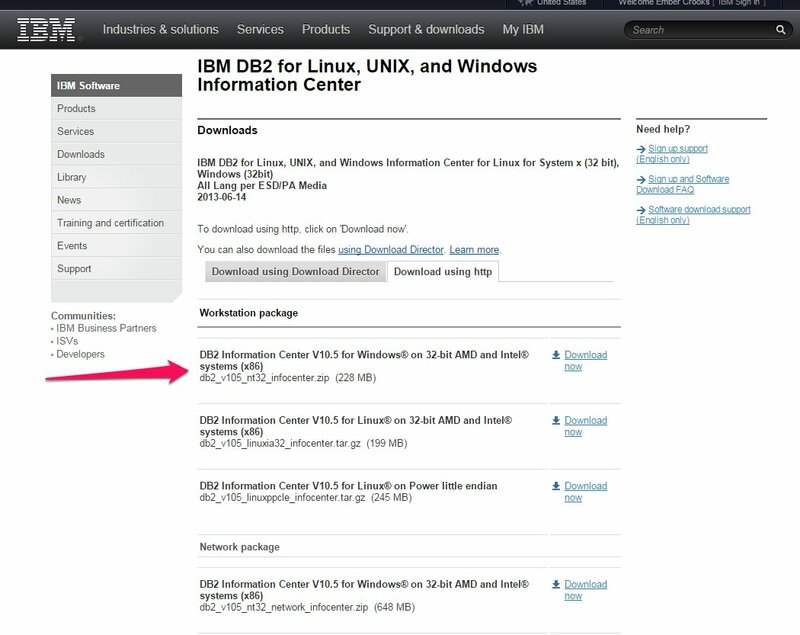 The IBM DB2 Knowledge Center can be a bit unreliable – sometimes the search doesn’t return the obvious results. Sometimes it’s down entirely at the worst time. 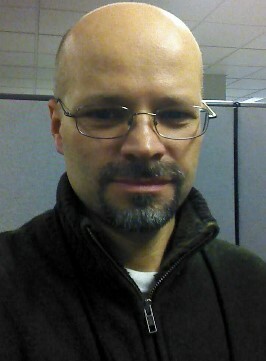 And for consultants, sometimes we work on networks that will not allow us to get out to the IBM Knowledge Center. To mitigate, this, you can install a local copy. 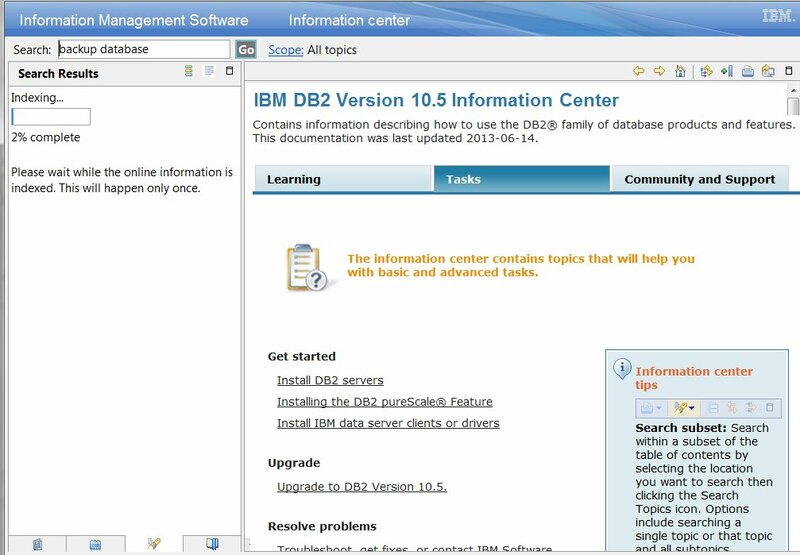 What is downloaded is an Information Center, but the search is so much more reliable than the IBM DB2 Knowledge center, that I find myself using a local copy even when the IBM DB2 Knowledge Center is working. 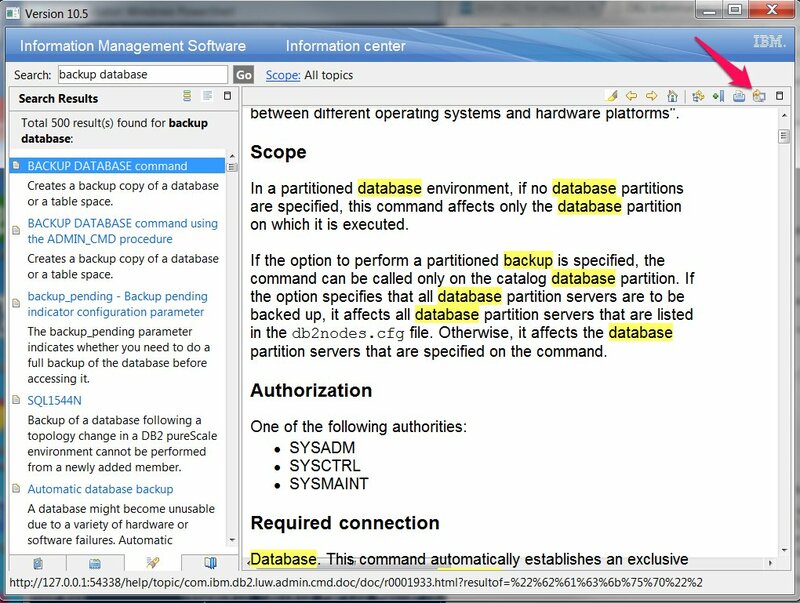 The IBM DB2 Knowledge Center includes information on installing a local copy of the documentation. After it is downloaded, you need to extract the files from the zip and navigate to the extraction location and simply click on the ic-wrkstn-start.bat executable. You can even create a link to it on your desktop or in another convenient location. 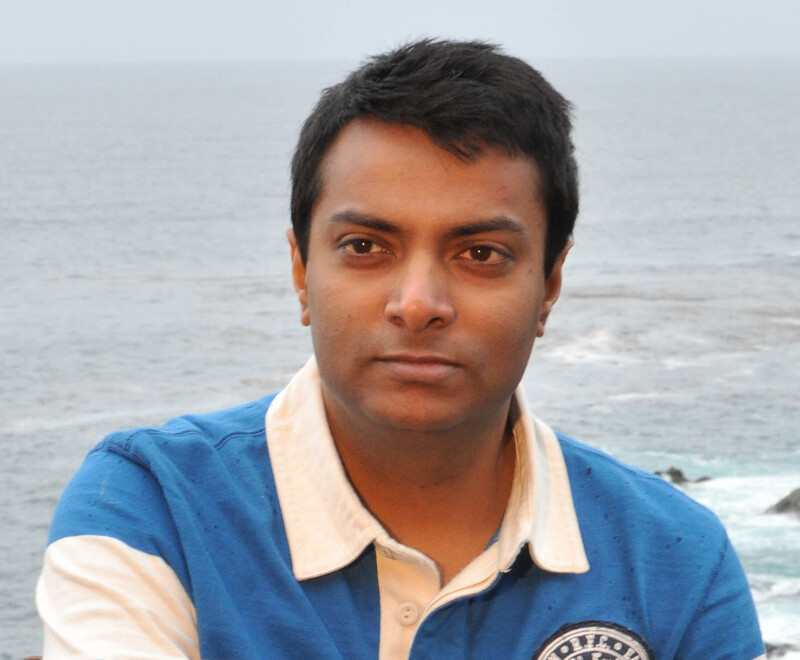 Ember – I observed one scenario, let me put here might be it will useful to somebody else. I have downloaded and run ic-wrkstn-start from v 10.1 and it opened me a separate window and it worked fine. Then i downloaded v 9.7 and tried running the ic-wrkstn-start for v 9.7 IC but it didn’t neither it showed me some error, I tried many ways to execute the batch file but no luck. Solution what i found is that whenever we run this batch file it will create some files in temp and %temp% directory and it won’t allow us to launch 9.7 after launching v 10.1 IC , Even system restart won’t help what we can do it just all files from temp directory and try re-running the batch file and it will work to open IC in your default browser. v 9.7 is little old fashioned one opens in browser which i don’t like but v 10.5 is very refined nice design will open as if separate program like any other. But i just loved both IC working offline on machine and it saved me lot amount of spending on documentation search which is absolutely very fast. And one more thing is whenever we run this batch file it will open 2 cmd prompts we shouldn’t CLOSE them till we want to close IC. Thanks so much for g8 trick.